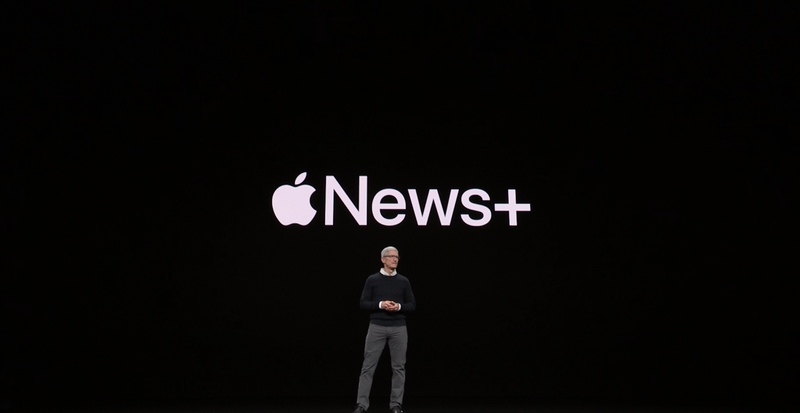 Tim Cook lead off with Apple News+, which has been coming since the day the company acquired the magazine app and subscription service Texture. Basically, Apple is taking the broad selection of magazines that made Texture interesting and rolling them all into Apple News with a little bit of that Apple flair. To top it off, they are also offering some additional content, such as the Wall Street Journal and LA Times. I expect to see more high-visibility media outlets show up here over time. Not the NY Times and Washington Post, but I think others on that next tier down will follow the Journal’s lead. 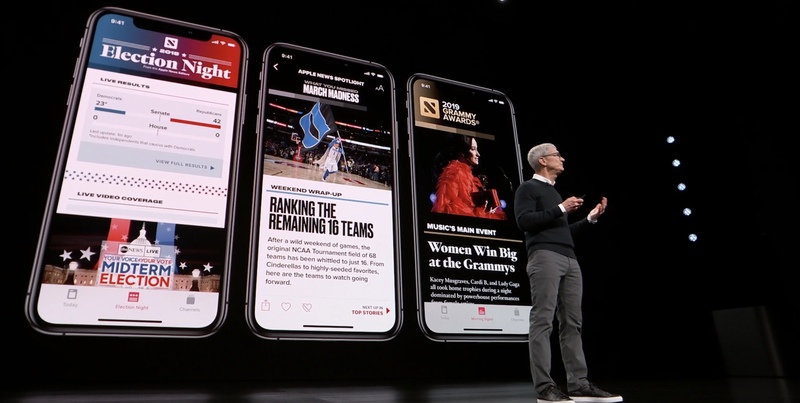 Curation was one of the words of the day (along with privacy), as this is what Apple touts as a differentiating strength of their existing News app. Now they are bringing that curated experience to magazine content. Users won’t be forced to go this route, mind you. You can still browse your favorite magazines as they stand, if you choose. However, you can also let Apple serve up content related to your taste and preferences. It will be interesting to see if Apple’s editors can strike a good balance when it comes to surfacing the right content at the right time to keep users coming back. 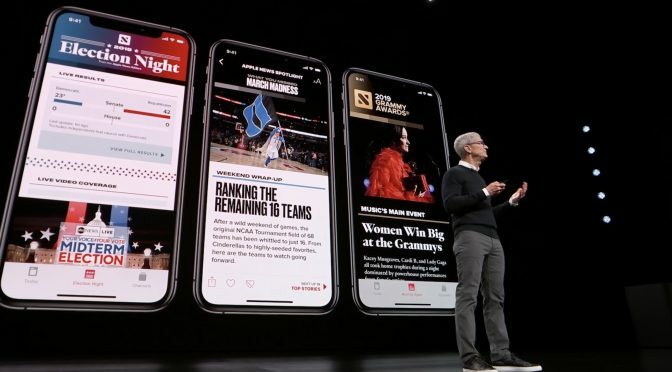 They have done a sold job of this with the App Store in recent years, so it is possible that Apple News+ will become a great way to discover new content that you weren’t aware of right when you are interested in seeing it. We shall see. One thing I can say about about News+ is that it looks great. No surprise there, as Apple is pretty good when it comes to visual appeal these days. For example, the live magazine covers aren’t a killer feature, but do add a unique bit of depth to the digital versions of the paper originals. They may not be equal to a great printed photo, but they do make the digital version stand out more. The iPad demo also looked really nice. No matter what, this is a big step from the super-simple PDFs that most publishers used to churn out in the old and now abandoned Newsstand. The trick here will be if Apple can get enough people to pay $9.99 a month for this? Good question. I likely will, especially if Apple gives us a price break on service bundles down the road. At least the automatic inclusion of Family Sharing was a nice plus. Also, this was the only product announced today that was actually available today (in the US and Canada). Just upgrade to iOS 12.2 and you can take advantage of a free month of Apple News+ to see if you like it. I’ve already signed up for my trial and will report on it in the future. Apple Card wasn’t a complete surprise, as news leaked that Apple was partnering with Goldman Sachs and moving in this direction a couple of weeks ago. However, it was not a given that it would be announced at this event. But there it was, ready for the big stage. In my opinion, this was also the biggest and most interesting of the announcements of the day. 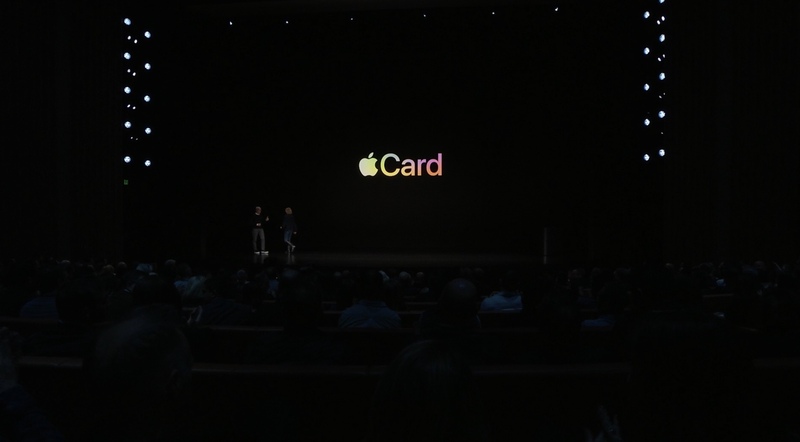 I know some will disagree, but I think this card could be pretty disruptive to the credit card industry thanks to the very consumer-friendly features Apple included. The key here for Apple is that, since their credit card doesn’t have to be a revenue pillar on its own like the iPhone, they were able to add lots of cool features that are geared toward saving users money. The financial planning and payment features look like they are a big step ahead of where most card companies are. The cash back rewards, called Daily Cash, are also really easy to understand and clear in how they work. They are accrued daily and go right into a user’s Apple Pay Cash. The reward amounts are also very competitive, with 2% on Apple Pay purchases and a significant 3% on Apple purchases. That could end up being a huge hook for Apple users. I also really like the fact that Apple isn’t going to charge yearly fees, or even late fees. (They will increase interest rates based on delinquency, which isn’t uncommon for credit cards) Add to this the user data privacy that Apple has based its services play on, and you have a pretty compelling credit card offering. 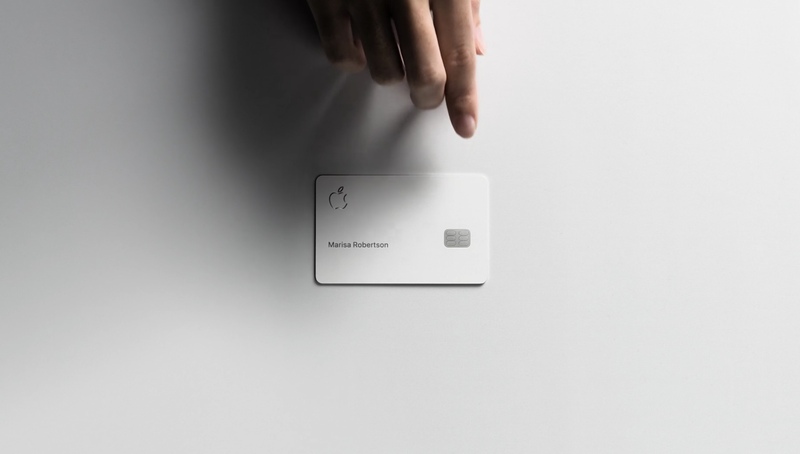 I was a little concerned that the card would be limited to only places where Apple Pay is accepted, but then Apple dropped a little bit of their design goodness. There will be a physical card. Not only that, it’s titanium and has the bearer’s name and logo laser etched. Yeah, that’s 100% Apple, and there will be people who sign up for Apple Card just for this piece of eye candy. The physical card is backed by MasterCard, so it will usable pretty much anywhere. This was really good news, as being tied to Apple Pay only would be limiting. Now, the one drawback is that users will only get 1% Daily Cash on physical card purchases, so Apple still uses a carrot and stick here. I’m sure they are hoping to motivate their users to pressure more retailers to sign up for Apple Pay. That extra 1% will drive value shoppers’ decisions, especially on larger purchases. Maybe the Apple Card will just end up as a small niche that Apple fans like me use. Maybe it will turn the credit card industry upside down and inside out. There is no way to know the answer yet, but this looks pretty compelling to me. Out of all the announcements today, this is the one I am the most excited about, by far. 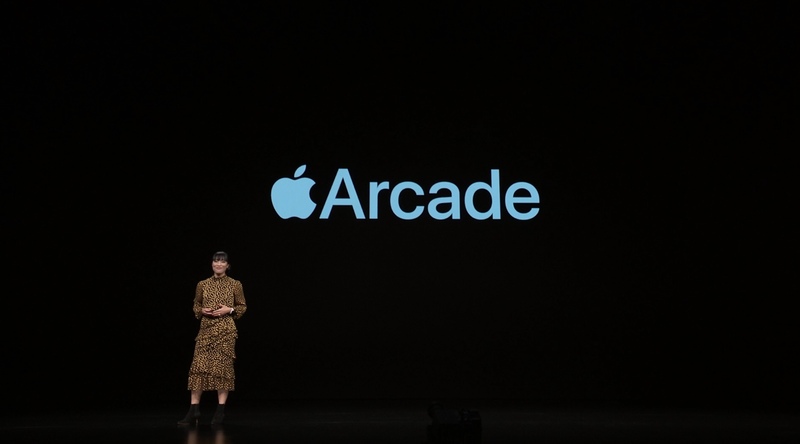 I will say up-front that I am also excited about the Apple Arcade concept. I’m not as sure it will be a success as I am the Card, but I hope it is. After years of freemium games absolutely dominating the App Store and sucking all of the air out of the room, Arcade may finally be a way for Apple to create a platform to showcase premium, paid games. Why does this make sense? Because Apple’s hardware, especially its mobile hardware, is so perfectly suited for higher-end game experiences. It is made to push the limits of mobile gaming. It can deliver the goods. Unfortunately, there is currently absolutely no incentive for developers to do this. They are either going to cash in on in-app purchases or they are going to avoid the App Store for platforms where users are more willing and accustomed to paying for quality. That is just the plain, honest truth. This is where the App Store is today when it comes to gaming. There are some nice incentives to use this new service. First of all, no ads. No more carrot and stick to get you to pony up your life’s savings one $0.99 hit at a time. That’s a plus for me. No Internet connection requirement, so you can play whenever and wherever. These are all solid features. Combine this with Apple’s stance on privacy and their improved Screen Time parental controls, and you have a solid feature set- assuming the games are compelling enough to get users to sign up and keep them signed up. That last part is what really matters. Arcade could fail. It may fall completely flat. However, if it doesn’t, it may finally be a re-birth of what originally made the App Store great for gaming. That initial promise and optimism were lost in the race to the bottom in pricing and the rise of freemium. The fact that Apple is going FINALLY going hands-on here and helping to foster an environment where developers can make money doing something unique and creative is good news. I sincerely hope it works out. If it does, I may put my Switch down and play on iOS again. We have some time to wait on this, as Apple Arcade won’t be available until the Fall. No pricing was announced today. Hopefully we will hear more at WWDC, as this is definitely a developer-focused service. 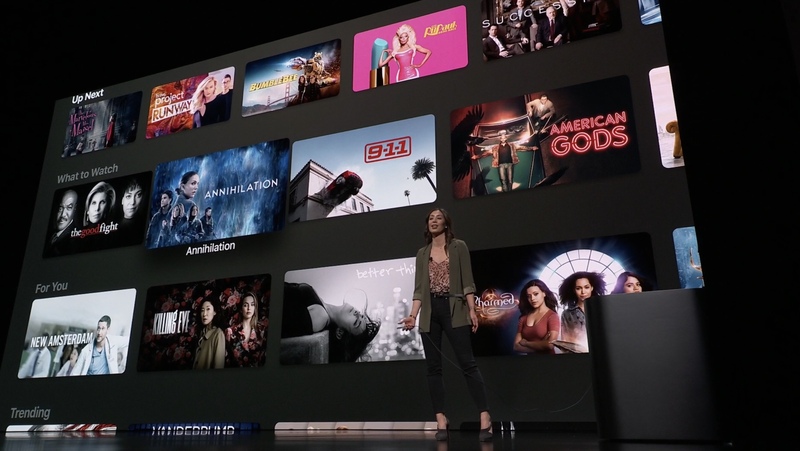 Apple wants to bring all of your shows together on all of your devices, all in one app. Unfortunately, the fact that Netflix isn’t there is a problem in that regard, right out of the gate. Unfortunately for me, Comcast also isn’t partnering with Apple and I can’t imagine that they ever will. So sad trombone for me. Prime and Hulu are in. A few cable and streaming providers are also signed up, so some people will end up being pretty well covered. However, most of us won’t be. The list of features is good. Online and Offline viewing. On-demand viewing and ad free. Pay for only the channels that you want. Family Sharing. All of these are good features, but it’s all still knee-capped by the fact that there is no way for Apple to ever get all of the most popular content into their TV app. They will probably start off with something like 70% and they may get into the 90s. But they will never get further than that without a seismic shift in the entertainment industry. To be honest, the selection of channels available for al a carte sign up is pretty anemic today. If Apple TV+ does take off, I’m sure more will join up. However, this is definitely not a replacement for a cable subscription today. Not even remotely close. However, if you are a parent, it does look like Apple has paid particular attention to children’s programming. Their focus on privacy and controls does shine, in that regard. There are good points, but it just doesn’t feel fully baked yet. Now, one good thing that I will applaud Apple for is that they have loosened up when it comes to where this TV content will be available. This was already expected since Apple announced the arrival of AirPlay 2 and other features on several smart TVs and Apple Music on other platforms, but they delivered with Apple TV+, as well. The service will be accessible from new Samsung, LG, Sony and Vizio TVs and from Roku and Amazon Fire devices. The Apple TV 4K is now a super niche device, but that was the right move for Apple. They are also rolling the service out in 100 countries, which is a smart move for them. I am frankly just not all that excited by this announcement. Apple spent a lot of time going into shows and artists without really showing us all that much. Frankly, seeing will be believing with TV+. Apple has a lot to prove and trotting out name actors and directors and showing previews isn’t enough. If they want people to fork over more money per month, there has to be a return. It has to be worth it. Right now, Netflix is worth it. I am not a Hulu user, but they have plenty of users who believe that it is. Prime video is definitely a nice incentive to keep renewing that subscription. Can Apple’s new offering hold up in the face of this intense competition? I have no clue. However, unlike Apple Music and even Apple News+, I am not just signing up for TV+ by default. Apple has got to stop telling me and show me. We don’t have pricing or a definitive rollout date for Apple TV+ as of yet, either. I’m sure we will hear more at WWDC. My biggest disappointment today is that Apple has not revealed, or even remotely hinted at, a solution for subscription fatigue. They left themselves room to maneuver with so many ambiguous announcements today. However, they have to address this or they will start to see an increasing number of dissatisfied users. I know there is absolutely no way I can afford to pay $10 each per month for News+, Arcade and TV+ on top of my Family Music and iCloud data subscriptions. Give me a break. Apple has until WWDC to get its messaging together and show a plan to take care of its most loyal users. If they don’t, you are going to see a lot of people who are usually pretty positive toward Apple start to change their tune. If they don’t come through by then and Tim Cook asks us to cough up for every individual thing separately, then I will be one of them.